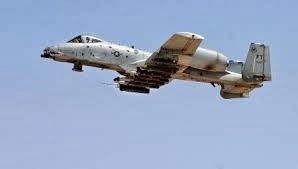 The A-10 Warthog is considered one of the best close air support aircraft ever designed and flown in combat. A recent article ranks it as one of the 5 most deadly attack aircraft. The A-10 was the product of some inter-service rivalry - the Air Force didn't want the aircraft yet did not want the Army to take on the role of close air support. Even today, the Air Force plans to retire the A-10 to be able to fund the multi-role F-35 - an aircraft far from able to perform CAS (it's gun system carries only 105 rounds). Read "Bombs Away: The 5 Most Deadly Attack Aircraft", The National Interest, January 28, 2015.